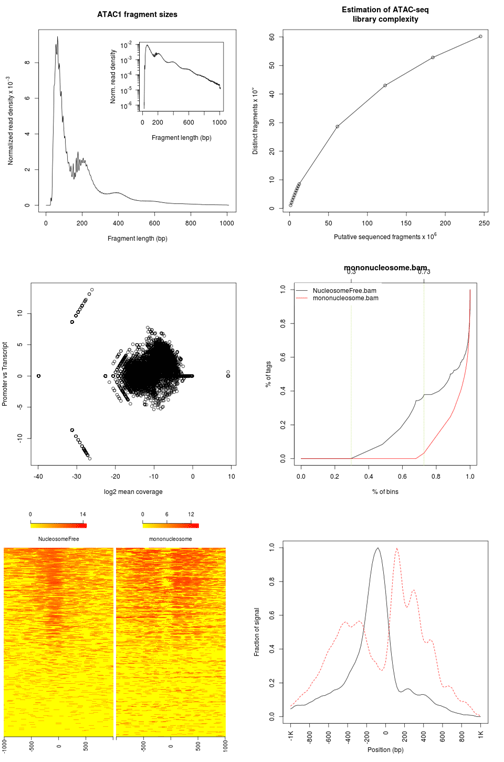 I have a few questions related to this package, which has generally worked well and is an easy way to perform preliminary analysis of ATAC-seq data. 1. I do not understand the output from the cumulativePercentage function described in the vignette. The plot shown in the vignette is very different from what we saw using our data. Otherwise our data look similar to the data described in the paper (see image below). Ultimately, I would like to submit our data to Encode so it would be useful to check that it passes their criteria.